As it’s only 2 weeks to go before the Big Red Ride I need to rack up the miles a bit in preparation. 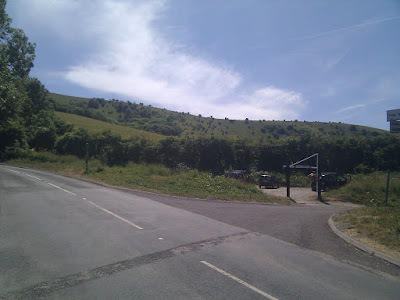 Last week I did the Peak District Ride and although it was hilly and hard work it was only just over 40 miles. 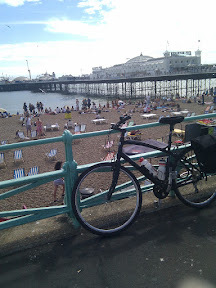 As I wasn’t doing anything this weekend I decided to do the London to Brighton ride. This is a popular charity ride that many people take part in. I didn’t do the actual charity ride that was a few weeks ago so it was just me on Sunday but I did follow the same route. 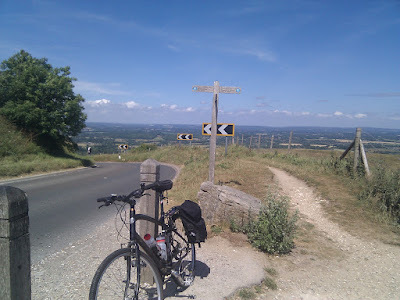 The route generally wasn’t too hilly except for Ditchling Beacon at the end which is very steep, although no worse than the Peak District ride. I did enjoy the ride but I was quite pleased when it was over. My legs did get pretty tired and were quite sore the next day. I also got pretty uncomfortable on my saddle at about the halfway point. It has given me more confidence that I’ll be able to do the Big Red Ride but it has also highlighted that it’s going to be tough.